774 p., 15,0 x 22,8 cm. 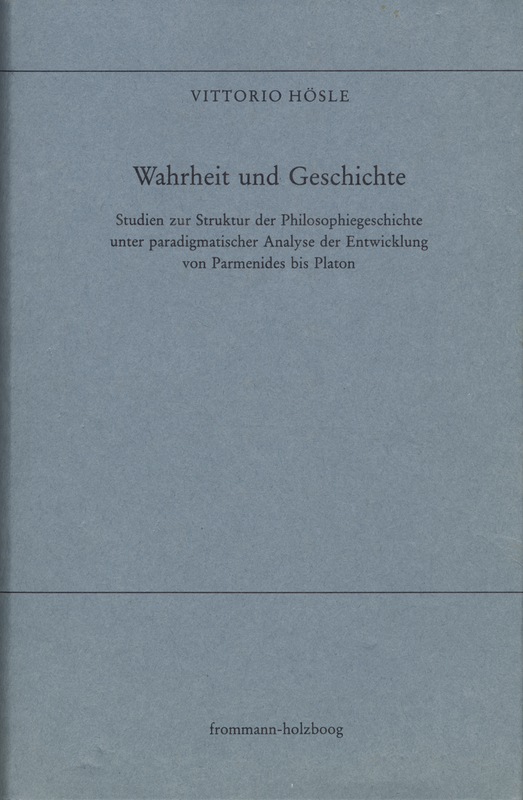 This work studies the relationship between the history of philosophy and philosophy. In terms of a cyclical and a dialectically structured history of philosophy, it succeeds in a reciprocal illumination of ancient and modern philosophy, in particular of Platonic and Hegelian idealism.